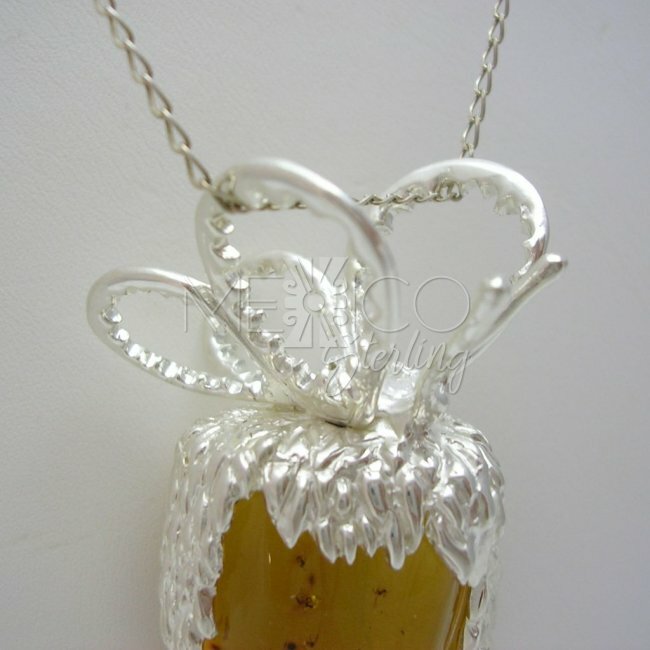 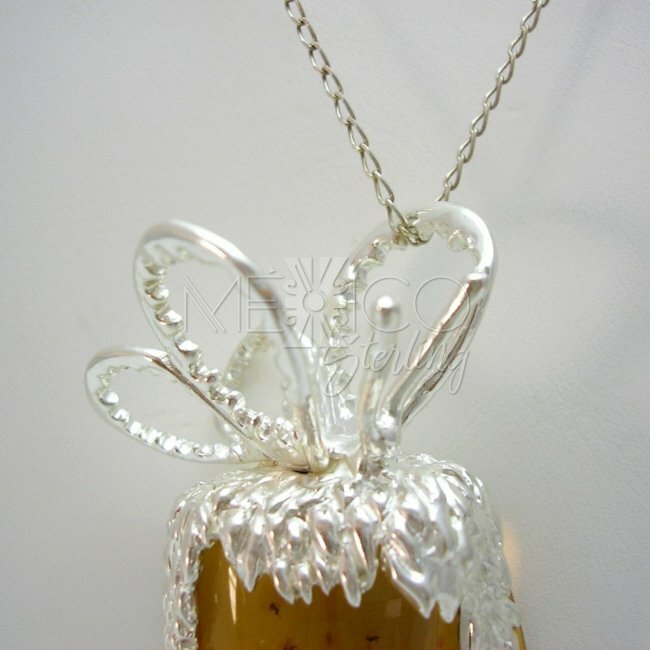 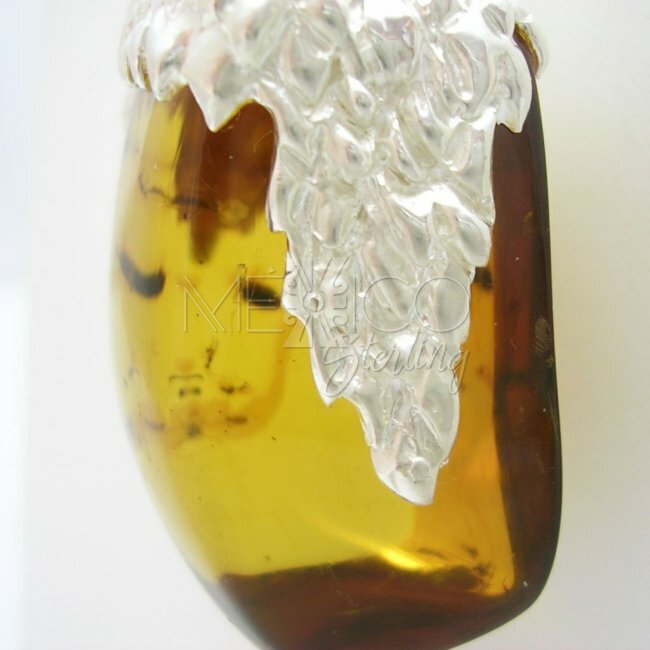 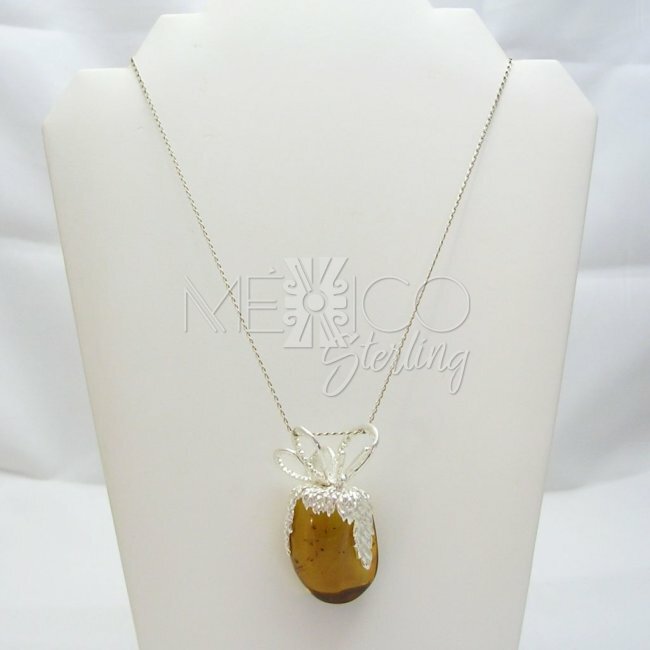 Simojovel Amber and Taxco Silver Pendant - $142.00 : Mexico Sterling Silver Jewelry, Proundly from Mexico to the world. 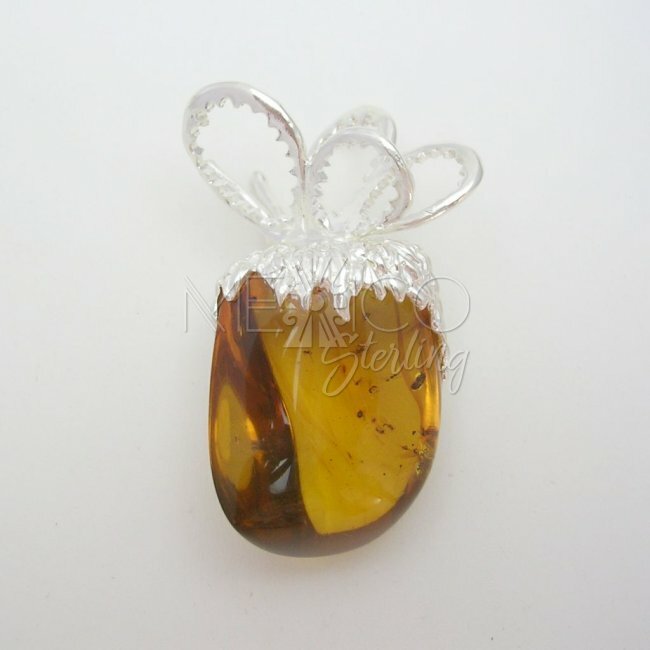 Dimensions: Width : 1 1/4" Length : 2 3/8"
This is such a wonderful piece of jewelry, unique and artistic silver and amber pendant. 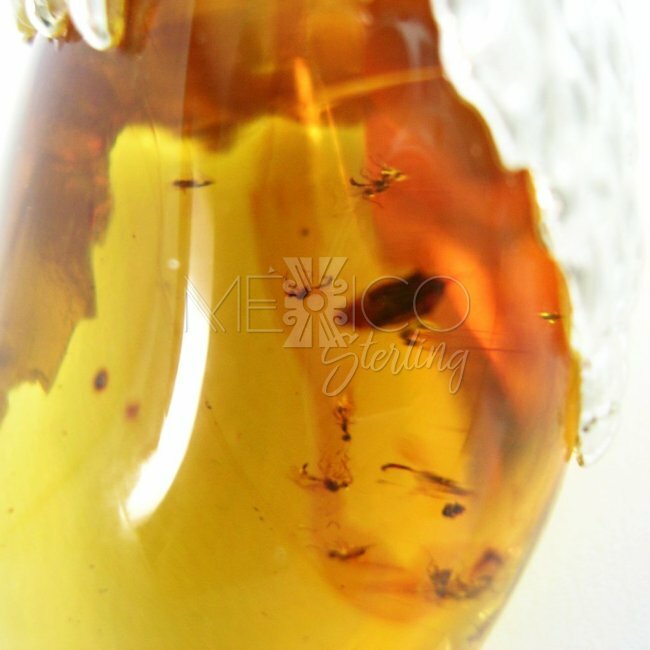 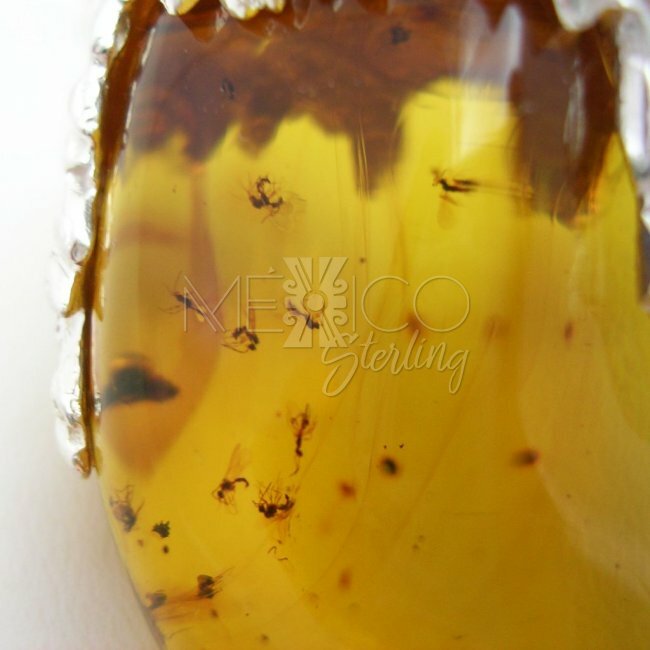 This amber comes from Simojovel Chiapas a south east estate where high quality amber is found. 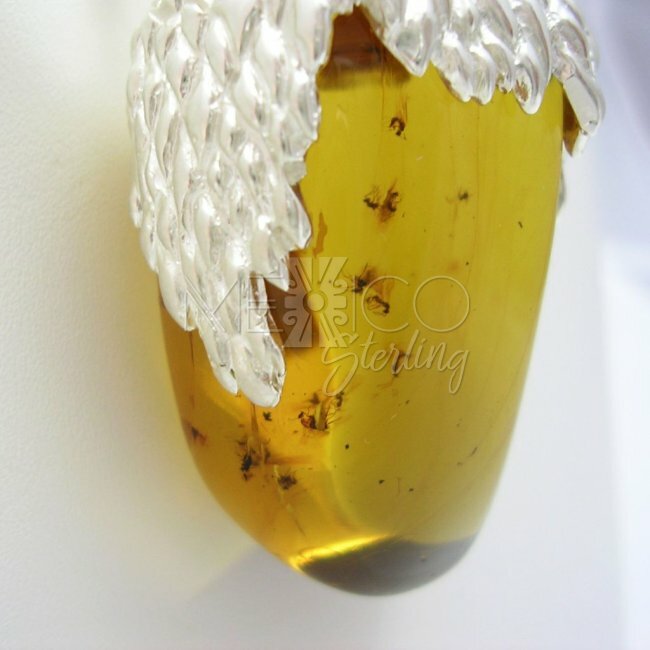 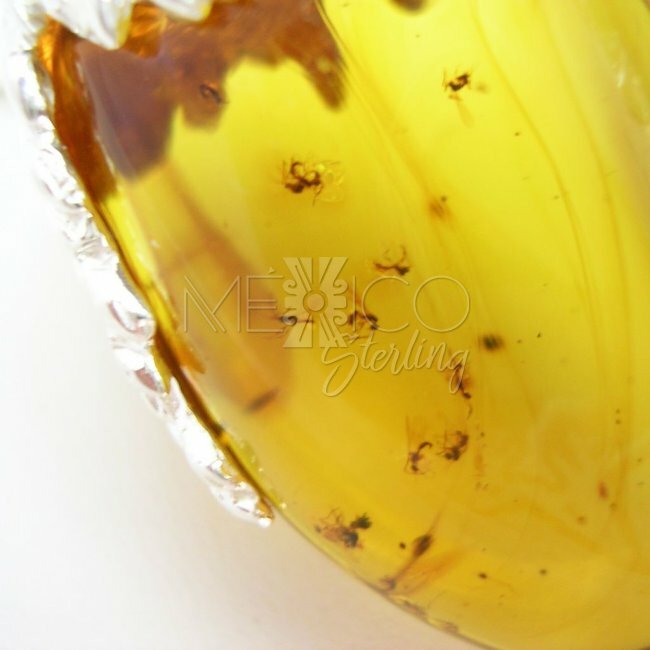 This amber piece has several moskitoes and a small beetle suspended in time inside this beautiful light honey color amber. 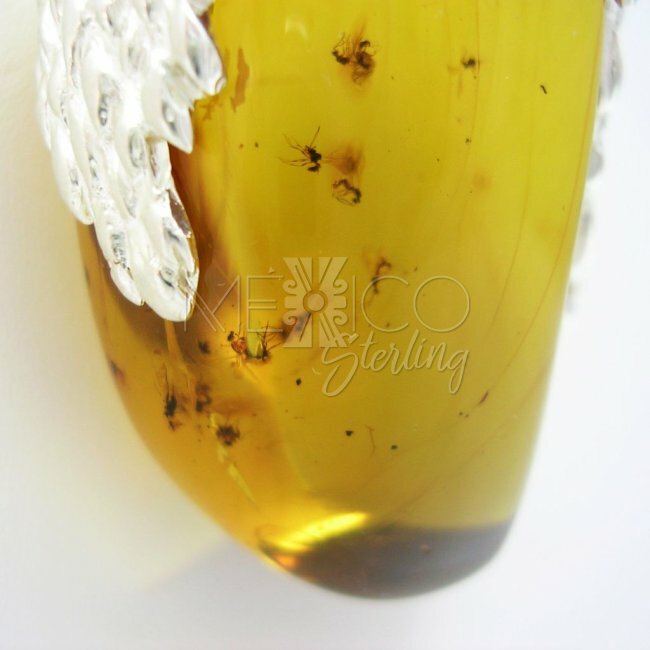 The sterling silver decorative frame, was designed and crafted by Karla Montero, a creative, young talent from Taxco. 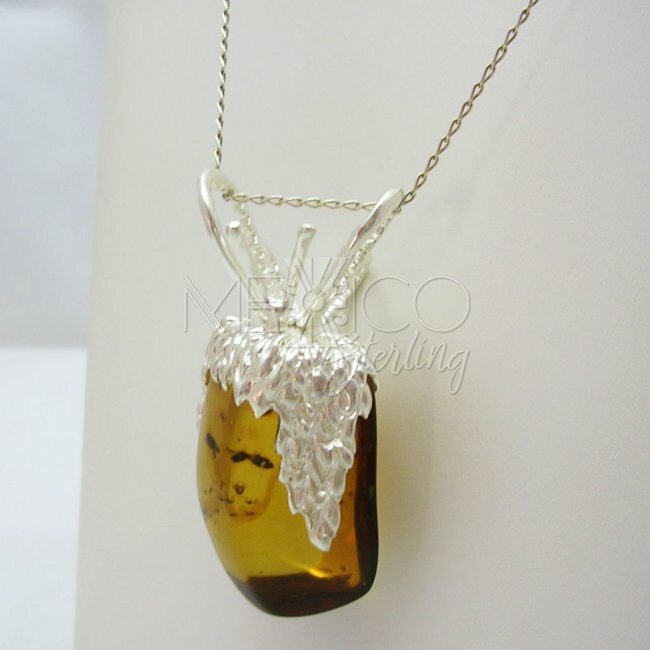 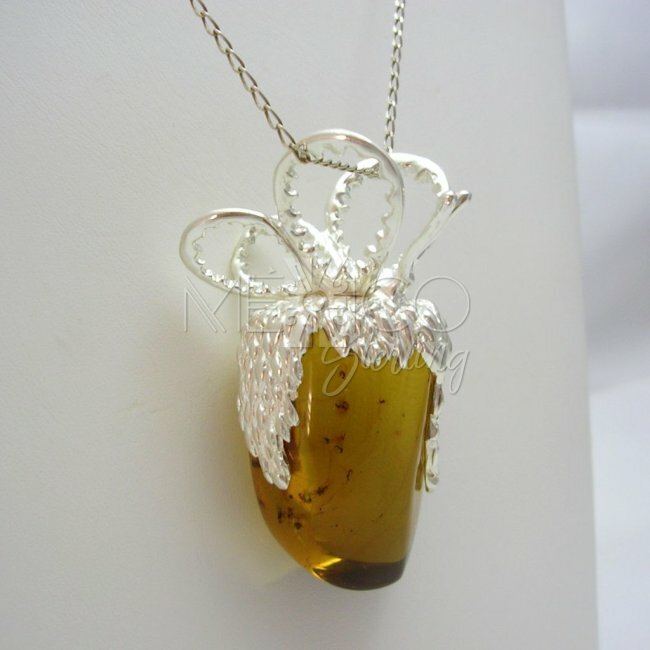 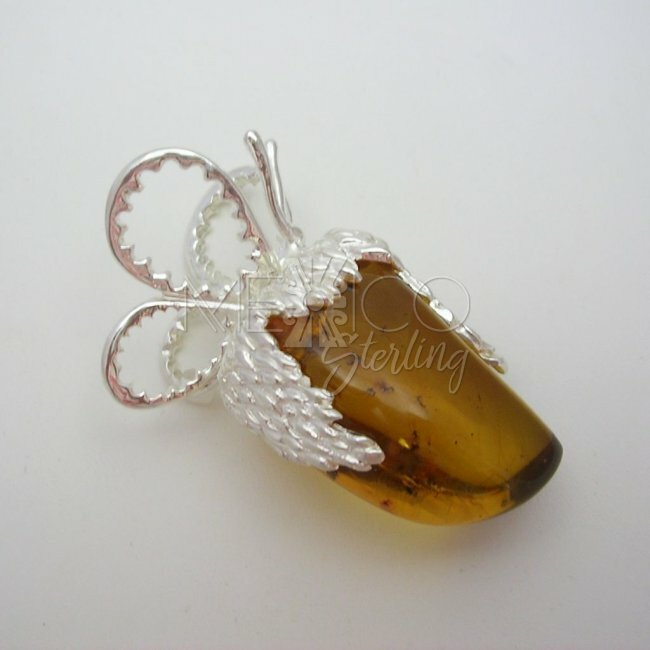 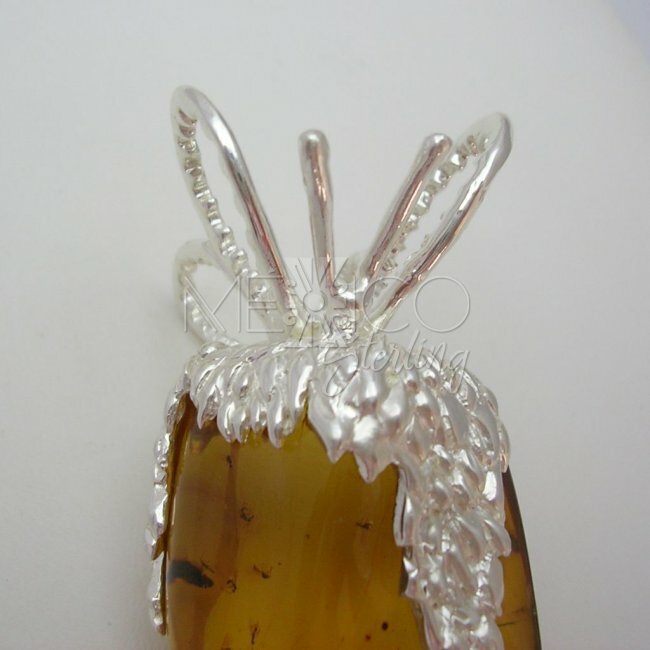 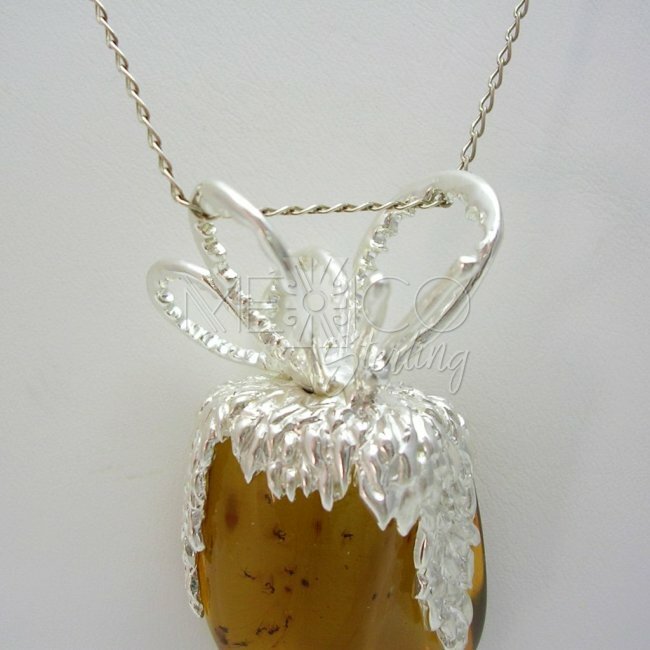 It represents a stylized butterfly on top of silver leaves that hang and embraces the amber. 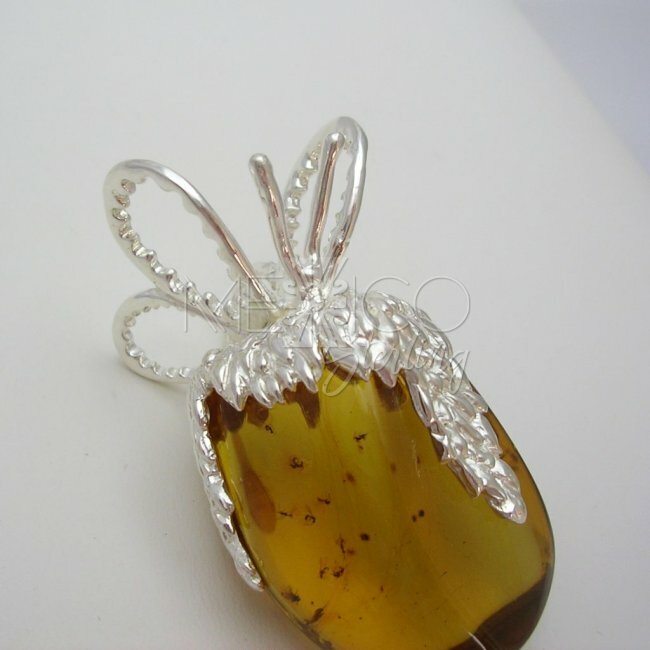 Completely handmade with excellent workmanship and beautifully finished. 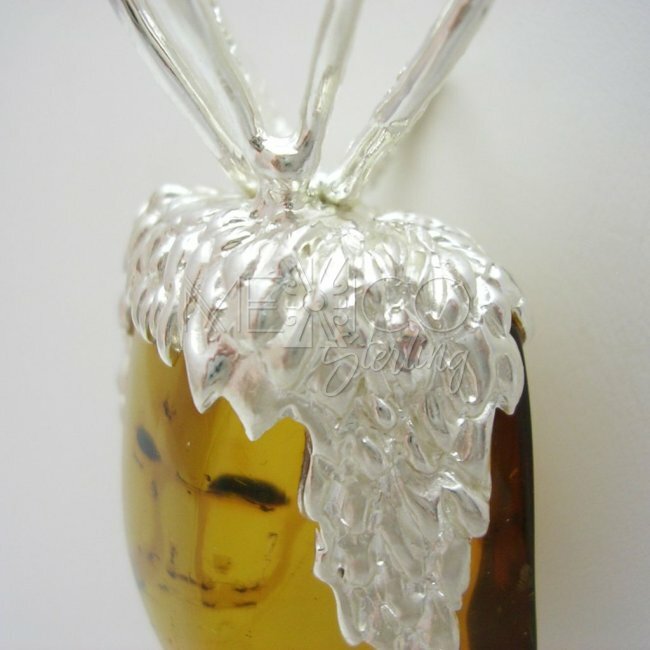 Please take a look above for more information about width, length and weight.